Did you know that throwing away food costs the average family £700 a year? 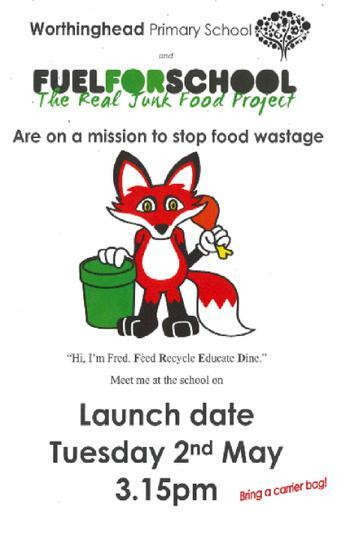 'Fuel for School' project collects unwanted food from supermarkets and distributes it around the area. Worthinghead will use some of the food for cooking with the children. We will also run a 'Pay as you feel' market stall selling items twice a week to enable parents and the local community to help put a stop to the waste.